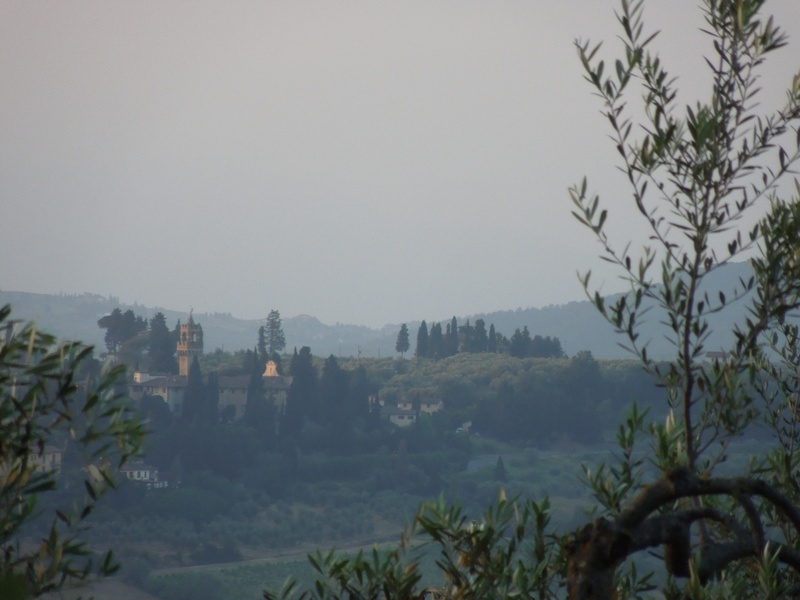 Montespertoli is a little known town just South-West of Florence. Also called ‘La Città del Vino’ (the city of wine), Montespertoli is surrounded by vineyards and olive groves, old villas and many many castles. Sounds like an ideal place to visit, right? Yes, you are right! Yet very few tourists do, which makes it even more worth the trip if at all you are interested in some authenticity and real small town life. Having said that, the town itself does not have a lot to offer … apart from a lovely atmosphere on the piazza filled with trees, benches where the elderly chat while keeping an eye on their grand children, a bar and a gelateria (where you can buy freshly produced ice cream). Sit on a bench, observe and enjoy. 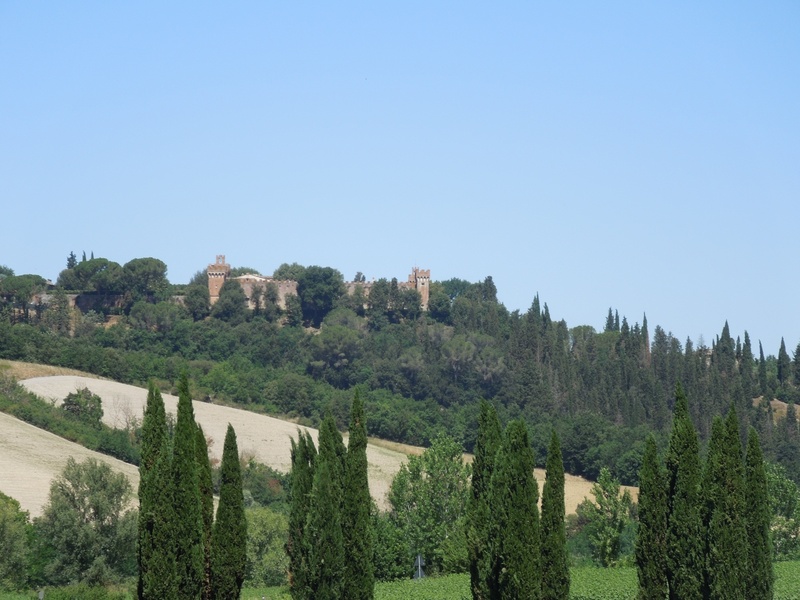 WHY VISIT THE MONTESPERTOLI AREA? Now, let me try to convince you to visit us, I can imagine the typical Italian piazza is not attractive enough on its own! 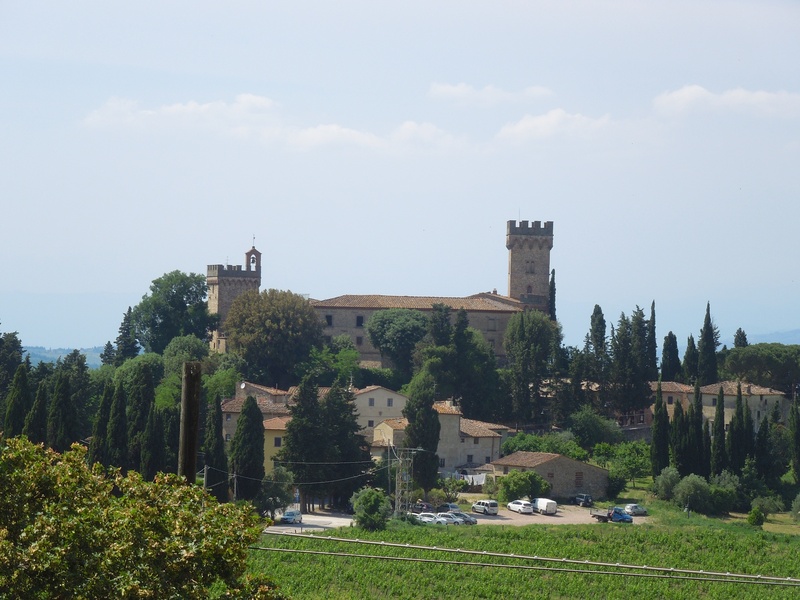 The Montespertoli territory is brimming with age old villas and castles (see the list below). 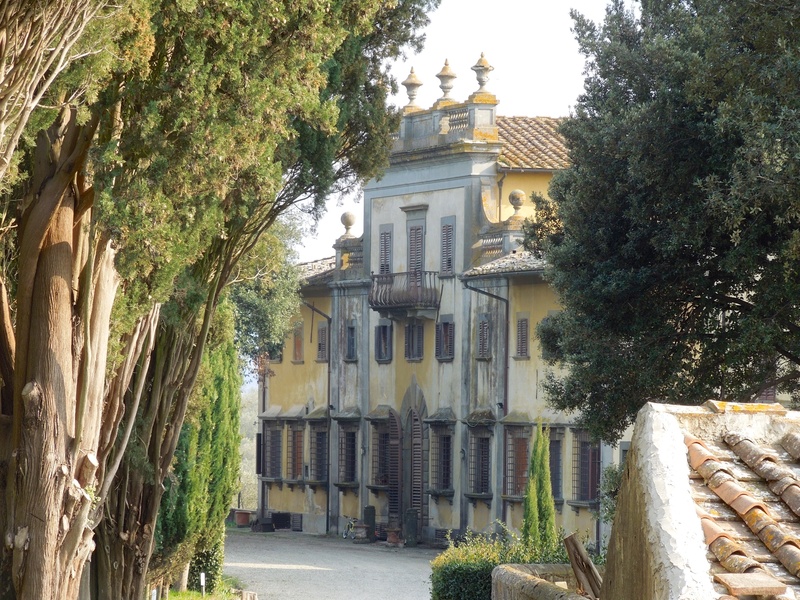 Small roads lined with typical cypress trees pass in the middle of the productive land these villas and castles have owned for hundreds of years. Famous Florentine families have always had their summer residences in this area and their sense of style is visible everywhere. Vineyards abound as wine has been made here for ages and ages, giving the landscape it’s distinctive shape. It is like an open air museum where you will enjoy every turn in the road and, if you are anything like me, shoot picture after picture, thinking every time to have the winning shot of your life (real fun until I see the results on my computer screen and get my feet back on the ground). You can hire a car and drive around, but in my opinion walking or cycling would be a much better option. In a car you pass through the landscape faster, you don’t hear the environment, hardly any smell reaches you either. When walking you pass slowly, can stop any where and take pictures, you see a lot more (but cover less ground). The best of the two worlds is going by bicycle. You hear, smell and see everything and are totally immersed in the countryside, yet you can easily cover 30 km in a day and even more. Slowly slowly the use of e-bikes (electrical bicycles) is starting to spread. Anybody who has ever visited Tuscany, might be able to imagine what a God sent this new technology really is. Just in case you have no clue what I am talking about… an e-bike is a bicycle with helper motor and Tuscany is really hilly! With an e-bike, cycling in the hills is no longer just for sporty types who like to keep fit, but everybody can manage. Actually, not only can you manage, you will thoroughly enjoy it! In Montespertoli two enthusiastic Tuscans, Massimo and Paolo, have set up a small e-bike rental shop from where they also organize guided tours in e-bike called Toscana by Bike. Paolo is an official guide and has written several guide books about Tuscany, a real wealth of information about anything from geology to cultural history to the way life used to be in these charming hills. By the way, just to lift a tip of the veil… life here was harsh for most, until not so long ago! Massimo knows a lot about bicycles, especially electrical ones and feels passionate about the Montespertoli area and loves to promote it in an ecological and sustainable way. Both were born here and know every meter of this land, its inhabitants, their stories and the past. 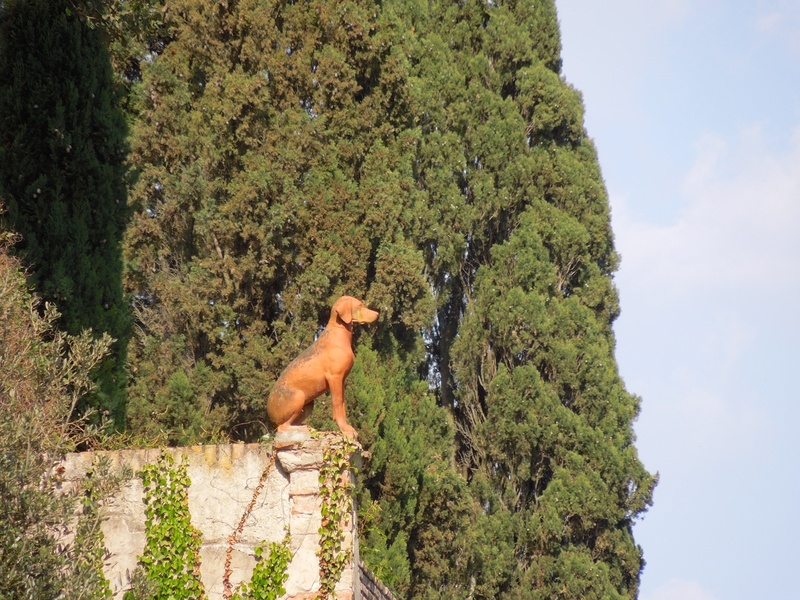 Immediately surrounding Montespertoli we have several castles and many important villas. The list of castles below are all within 10 km from town: Castello di Sonnino (this castle is in Montespertoli, you can’t miss it. 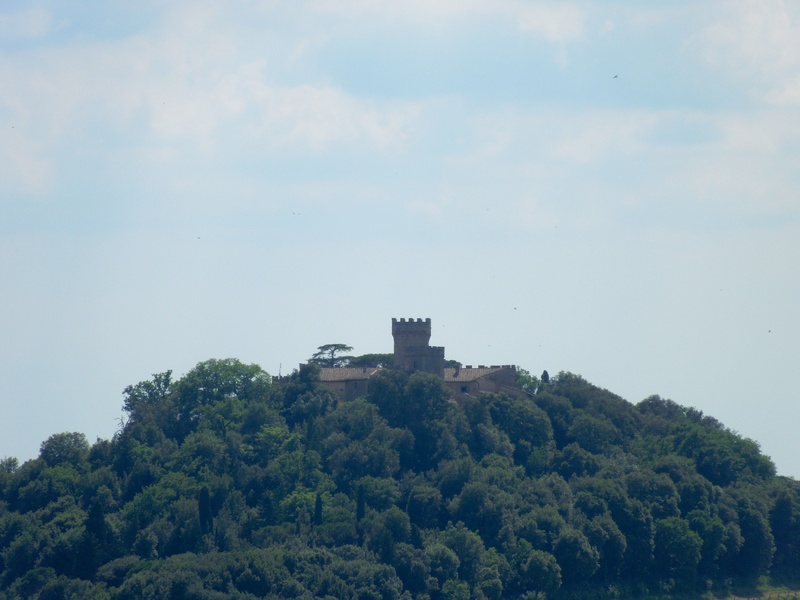 You get a nice view on this castle from the Via Lucardese, a beautiful road leading to Lucardo. When you are about 1 km outside town, look back and enjoy!). Castello di Montegufoni (when driving up to Montespertoli you will see this castle in your rear view mirror and in the North of town you can see this castle (turned hotel). Castello di Alliano (on the Via Lucardese, about 2,5 km outside town you will find this castle on the right). Castello di Botinaccio (this castle is to the North of Montespertoli, taking the road to Montelupo. You will first see an incredibly lovely convent and then the castle to the right. This castle is also hidden in trees, but you won’t miss it!) Castello di Cabbiavoli (to the South West of town … very well hidden and therefore an even bigger surprise when it suddenly appears at the side of the road. It is a hotel/agriturismo now. As mentioned, you can take part in one of Toscana by Bike organized e-bike tour with a small group (max 10 people) but you can also rent an e-bike in Montespertoli and explore the hills by yourselves (or bring your own bikes if you are fit and like cycling). On the website you will find a few scenic routes you can download onto google map on your phone for free. One is described below, it is an easy route, especially when you have a power assisted bike. 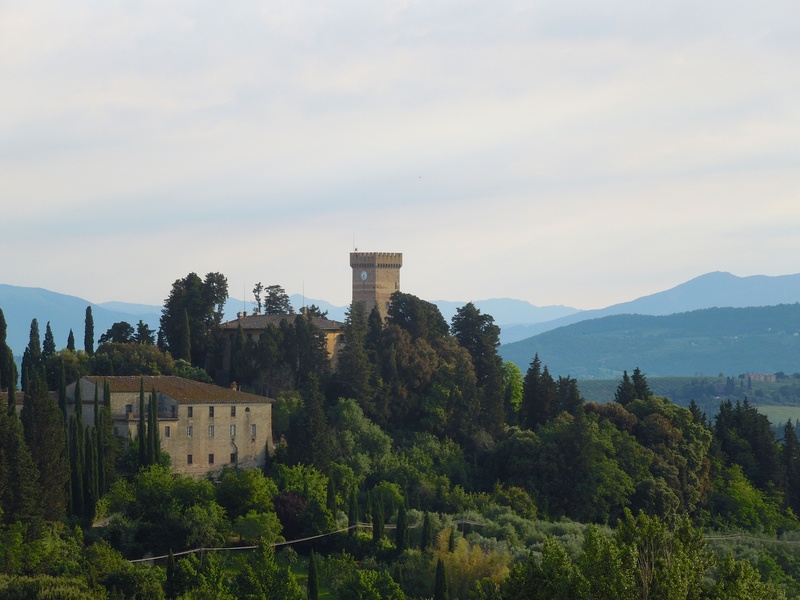 You can get to Montespertoli from Florence by bus (busses leave from the central bus station at the Stazione Santa Maria Novella (the main train station of Florence). The tour company has a minivan and can also pick you up from where you would like and after the e-bike tour, drop you back off. If you have a car, get on the road to Livorno/Pisa (called FI-PI-LI). Take the exit ‘La Ginestra’ and follow the signs for Montespertoli (it is about ten minutes drive from the exit). An example of a nice bike route would be: Montespertoli - Certaldo - Montespertoli From the e-bike rental shop go left in Strada Provinciale 125 (following signs for Lungagnana). Keep following this road until you get to a roundabout (after a stretch through a small plain - right in front of you is Castello Oliveto and to the right you might glimpse the Cabbiavoli castle), keep following the road (i.e. turn left and keep on the tar road). Entering Certaldo you pass a new building to your left and follow the road turning left. Then you get to a roundabout where you go straight (more or less keeping to the left) and then go left rather steep up the hill into the Canonica park. This road is called Strada Vicinale Torrione. A beautiful scenic road and at the start (after the first hilly stretch) you can fill your water bottle for free. Keep following this road up the hill where the road turns to the right. Keep going following the signs for ‘centro storico’ and ride your bike into the old part of Certaldo (via delle Mura). Now after having visited Certaldo and taking a nice break there, you ride down on the Via del Castello and turn left onto the Via Roma (yes … they all still lead to Rome!) and after the small river you take a left. If all went well, you are now on the SP79, the road between Certaldo and Fiano. After a little over 1 km you will see a small road to the left indicating Bacio and Casale, among others. Take this road and stick to the right (Via Casale) and keep going until, after a while of going up hill, you get to a crossroad. Option 1 If you have battery left and like some non asphalt and steeper road to really test the e-bike, turn left and keep going uphill (ignoring the sign left for casale which is a dead-end road). After a while turn right towards Montespertoli and always keep following the road until you get to a small cemetery with several stray cats living next to it (fed by the people of Tresanti). Go straight down (meaning you leave the cemetery to your left) and then up, keep following the road up hill passing the villa of Gigliola until you get to the Pieve San Piero in Mercato. You are now back in Montespertoli! Option 2 If you prefer (where I gave an option before) to take an easier road, turn right until you get to the main road and here turn left, keep riding up hill and through Fiano until you get to a T junction. Turn left and keep going for about 7 km until you are back in Montespertoli. The google map with indications of this route finishing with Option 1 to download on your phone this. -------------------- For any other info on the guided tours and e-bike rental: www.toscanaebike.com Article written by Willemijn Lindeboom, living in Montespertoli.